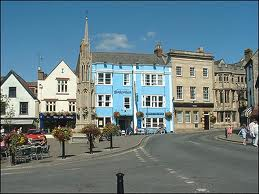 Glastonbury is a small town in Somerset (not too far from Bristol). 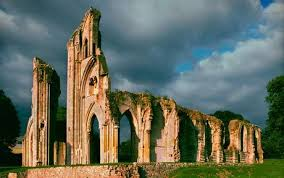 It is mostly known for its ruined abbey and the Glastonbury Festival. The town attracts quite a lot of people interested in myths and legends surrounding King Arthur, the Holy Grail and Joseph of Arimathea. In 1191 the monks at the abbey said they had found the graves of King Arthur and Queen Guinivere. It is not clear whether this was in fact true. The abbey dates back to at least the 7th century – so it is very old indeed. 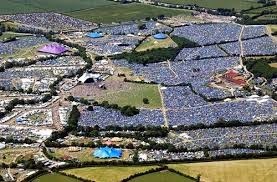 The Glastonbury Festival is a huge festival held each year. It would be interesting to go but I don't really like huge crowds. And the crowds are apparently huge – over 100,000! I live not all that far from Glastonbury (compared with you!) but have never been, either in festival or out. But I've read lots of books on the place that make me want to go and visit... perhaps you will inspire me.